Some legal ideas are so wacky, they could only come from a law professor. 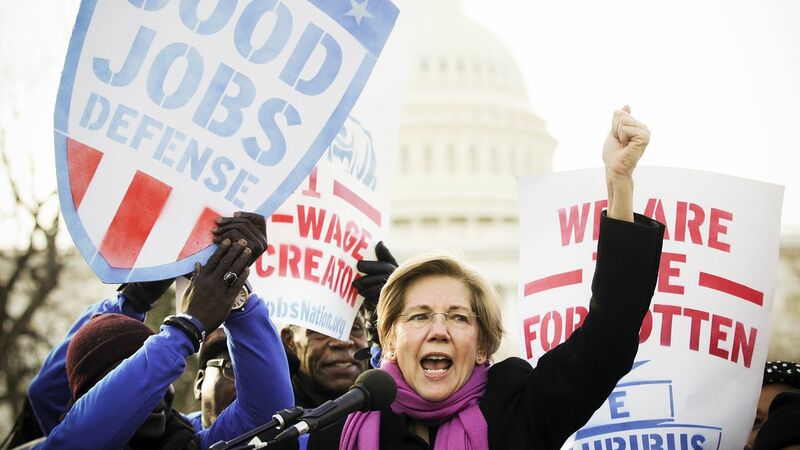 Unfortunately, one of those law professors is now in the United States Senate—Elizabeth Warren, who on Wednesday introduced legislation that would reverse the principles of American corporate governance that have enabled our economy to thrive. As Senator Warren explained in The Wall Street Journal, her legislation—the misnomered Accountable Capitalism Act—would yank down three principal pillars of U.S. law governing corporations: corporate federalism (leaving substantive corporate law to the states), shareholder primacy (aligning board fiduciary duties with shareholders’ interests), and director independence (eliminating company boards’ conflicts of interest). Senator Warren argues that her legislation would address the rise of inequality in the United States - a phenomenon that is real enough - but her preferred solution would hurt rather than help her intended beneficiaries in the American workforce. The linchpin of Warren’s plan is to require federal charters for any U.S. corporation with more than $1 billion in revenues. On the surface, this sounds reasonable: a giant national or multinational business affects people all around the nation, so why should the law governing those corporations be situated in the states? The risk in nationalizing corporate law is that Congress could get it wrong—in some cases, alas, by design. Progressives have long lamented U.S. corporate federalism. In 1974, William Cary, a former Democratic chairman of the U.S. Securities and Exchange Commission wrote an article in the Yale Law Journal, “Federalism and Corporate Law: Reflections Upon Delaware”; when Warren writes that “states don’t want to demand more of companies, lest they incorporate elsewhere,” she is parroting Cary. But Cary and Warren get it precisely backwards. Three years after Cary’s article, Ralph Winter, now a senior judge on the U.S. Court of Appeals for the Second Circuit, wrote a response, “State Law, Shareholder Protection, and the Theory of the Corporation.” Winter observed that a state that adopted bad corporate law principles would hardly be able to attract and retain corporate charters: shareholders would demand a discount on shares issued in initial public offerings to offset rules that unduly empowered corporate managers at shareholders’ expense—and companies going public would thus avoid such states, given that they want to raise the most capital. Thus, decentralizing corporate law to the states creates a virtuous “race to the top.” It’s a perfect example of federalism working as it should, and the whole system would be jeopardized by a single national regulator. The risk in nationalizing corporate law is that Congress could get it wrong—in some cases, alas, by design. Senator Warren, unlike Commissioner Cary, isn’t worried about corporate executives mismanaging shareholders’ money; she wants corporate leaders to do so. Thus, her second proposal, which would transform all large corporations in the United States into “benefit corporations” accountable to stakeholders other than shareholders. As Warren notes, a majority of states already permit such companies, which is fine. However, they all make such corporate structures an option, whereas Warren’s bill would make them mandatory. In making the case for such a radical departure from long standing U.S. corporate practice, Senator Warren suggests that “shareholder primacy” was invented by libertarian economist Milton Friedman (who did embrace the idea) and wrongly claims that the idea first was implemented in the 1980s. In fact, shareholder primacy as a legal matter in the United States dates at least to 1919, when the Michigan Supreme Court decided Dodge v. Ford Motor Company and said, plainly, “A business corporation is organized and carried on primarily for the profit of the stockholders. The powers of the directors are to be employed for that end.” In a seminal 1931 article in the Harvard Law Review, “Corporate Powers as Powers in Trust,” Adolf Berle explained the rationale for this rule: unlike employees, lenders, customers, and suppliers, shareholders do not have any ability to contract for a share of corporate earnings—and absent the Dodge v. Ford rule, company executives have every incentive to run off with shareholders’ money (as often happened in the nineteenth century). Sophisticated shareholders understand this, and have the power to elect corporate directors, which is why Senator Warren’s proposed legislation is not content merely to change the fiduciary duties placed on directors—it mandates European-style union representation on all large company boards. Rather than shareholders, employees would elect 40% of all company directors. We have a glimpse of what this would mean in practice, because we have seen how pension funds for private labor unions and for public employees behave as shareholders. Labor-affiliated pensions regularly file shareholder proposals, usually involving social and political concerns. Those social and political shareholder-proposal campaigns are associated with lower shareholder value. These labor investors also tend to attack companies facing ongoing union-organizing campaigns, as well as companies with political action committees that support Republicans. The Warren bill would enshrine this fight, requiring companies to get the support of 75% of directors and shareholders to spend money on politics. This would hurt corporate returns, but Democratic politicians oppose corporate involvement in politics for the same reason why Republicans oppose union political action—because it hurts their side. Warren wants just this outcome, because it fits with her populist view of the world. In Warren’s view, everything went wrong when Ronald Reagan was elected in 1980. From shareholders’ perspective, of course, this is crazy: the S&P 500 returned 127% more after inflation, accounting for dividends, in the 35 years beginning with 1981 than it did in the 35 preceding years. The most valuable companies in the world today—Amazon, Apple, Google, and Microsoft—were all in their infancy, or nonexistent, in 1980. Such companies have been able to grow precisely because firms have been pressured to return money to shareholders when outside investment opportunities exceed those within the firm—providing the capital for new ventures that drive economic growth. The halcyon days of 1980 that Warren remembers so fondly had double-digit unemployment, inflation, and interest rates. Fortunately, most Americans today are significantly better off now than they were then. Yes, many have seen their wages flattened by technological innovation, globalization, and a federal immigration policy that has substantially increased the supply of domestic low-skilled labor. But we should think about how to ameliorate those problems directly, not by wrecking American corporate law, which has been essential to the largest and most dynamic economy in world history. Senator Warren’s proposal is like the Bizarro World in Superman comics—everything is backwards.